← Do You Know the Signs of Mental Illness? For a year now, the presidential candidates have been dodging questions about the problem of mental illness in America. Some will bring it up when talking about gun control and others ridicule the mentally ill.
People are too embarrassed to get help because politicians and the media contribute to the stigma that prevents people from getting the help. People are not educated as to what signs to look for and where to go to get help. One in four people in America have a mental illness- that means that everyone most likely at least knows someone who has a mental illness. So, what are you going to do Trump, Clinton, and Sanders? I think the people who have mental illnesses, their families, and anyone who has been affected by a mental illness due to tragedy deserve a right to know. 1. Ask the mentally ill and their families what is lacking and suggest what could help. 4. Go visit psychiatric hospitals and see how awful most of them are. The patients are being treated worse than animals and not getting the care they need. The Emergency Rooms are filled with people who can’t get help. You can’t just throw money at the problem. You can’t keep dodging questions, you definitely should not add to the stigma like I have heard some of you do. There are 25% of Americans who struggle with mental illnesses and we deserve to know how you would handle the crisis before we cast our votes. -PROMISE that you have things you are going to do to help the mental health system within your first 100 days in office. I hope to hear the topic of mental illness talked about at the debates and I think that it is not only the responsibility of the politicians, but also the media. Don’t just let them talk about it- Make them come up with a policy as to what they are going to do. It is just as important to America as any other issue. 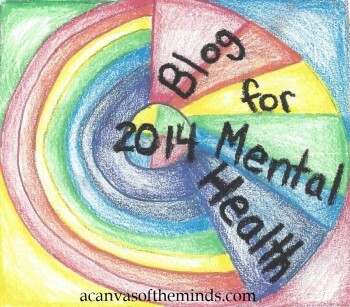 This entry was posted in advocate, media, mental health advoctes, mental health awareness, mental illness, politics, presidential election, Uncategorized and tagged #mentalhealthawarenessmonth, #MentalHealthMatters, #stigmafree, building a wall, clinton, letter to the president about mental health, mental illness, mentalillnessfeelslike, sanders, trump. Bookmark the permalink. I love this!! Its so practical to do. I have done something similar with those running in my state and most are responding back to my surprise.